Thank you for visiting my art. 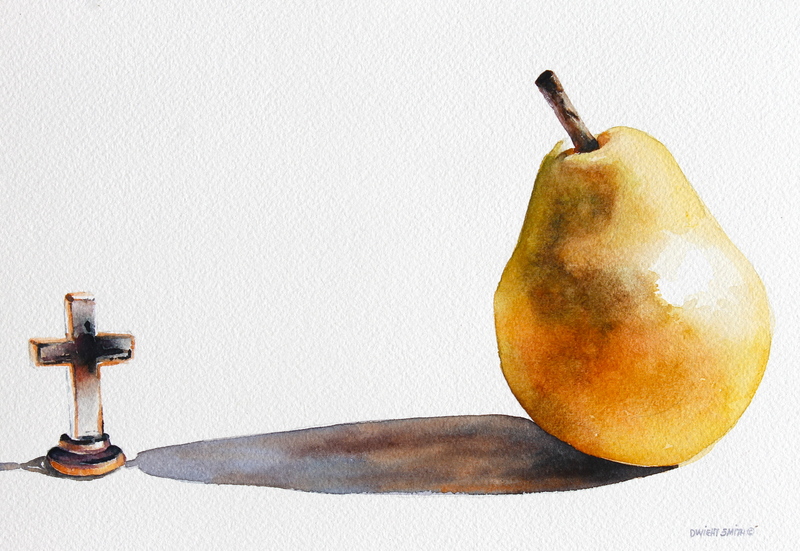 I love using food in my still life watercolors. This is such an original watercolor. It is a pear with Cross.